First and foremost, we at Your Loan Depot offer Texas residents the chance to get emergency cash when they need it most through title and payday loans. If you are in dire need of “fast cash” — for whatever reason — we encourage you to consider Your Loan Depot among your options. Whether you are looking to make rent between paychecks, front up the cash for some unanticipated medical bills, or have a rare investment opportunity you just can’t say no to, we are here to help with fast cash. There are two ways in which we offer our customers the ability to get fast cash — payday loans and car title loans. Payday Loans – If you are looking for a reliable way to get a cash advance in Texas, you can get the money you need for bills and more when you walk through our doors at Your Loan Depot. It’s a short-term loan to help bridge the gap between paychecks. We have a helpful and knowledgeable staff who are willing to walk you through the application process. We’ll make the process simple and understandable, ensuring you know the details of the agreement so you know how quickly you must repay the short-term payday loan. Payday loans can get you up to $1,000 in cash when you choose Your Loan Depot in Texas. Car Title Loans – If you are looking into Texas car title loans, we offer a versatile process that helps you get the cash you need, fast! While payday loans can get you up to $1,000 in a pinch, car title loans involve putting your functional vehicle (including RVs, trucks, and others) up as collateral. This means you can get up to $10,000 based on the value of your collateral. Again, our support team is excellent at ensuring you understand the terms of the agreement, making sure you are completely solid when it comes to the expectations of the repayment plan. Make sure your RV, car, SUV, or truck is in good working condition, and then come stop by to learn about our agreement options that include a 30-day payback or installment payments up to six months! We have locations in Bryan, Rosenberg, Conroe, Tomball, Pearland, Mansfield, Airline, and Humble. And although we all know that Texas is a fairly sizable state, we’ve done our best to provide plenty of locations peppered throughout our great state so that it’s never too far of a drive. If you are in dire need of emergency cash and you’d like to go the route of fast cash loans in Texas, don’t hesitate to consider Your Loan Depot. Fast Cash – We’ve addressed this one already, so we’ll keep it brief. Going the route of payday loans helps you get emergency cash, and fast. 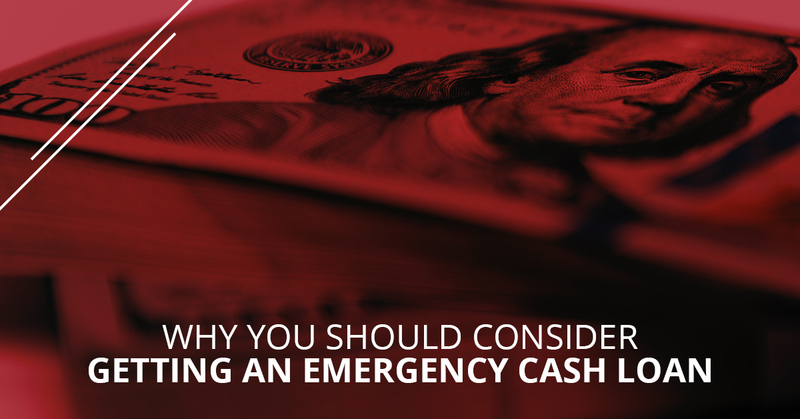 Ideal For Emergencies – Although it sounds strange to say, given that your life is in a state of emergency, payday loans are often the best solution when you need to put out a fire with cash (not literally, of course). You can sometimes get your loan in less than an hour when you choose Your Loan Depot. It’s Relatively Easy To Qualify – Bad credit? No worries! The process of applying and qualifying for a payday loan is as straightforward as you will find. Of course, you will need to prove that you’ll be financially able to repay the loan. Fixed Limit – Depending on how much money you make, we’ll limit the maximum amount of cash you can get from your Texas payday loan. While at first this might frustrate, it’s ultimately a good thing because you will be confident in your ability to repay the loan. This will help stop a cycle of debt in its tracks. Convenience – You’ll find that traditional banks take a lot of time and a lot of paperwork. Your Loan Depot offers applications online, in addition to being open on Saturday. Use The Money As You Wish – While regular banks will require you to justify and explain your loan, we don’t think it’s any of our business here at our Texas payday loan company! This means you can feel free to use the emergency money as you wish. Whether that’s to pay your rent, invest in a “can’t lose” opportunity, or it’s for something else entirely — that’s up to you! Identity Security – When you use a payday loan provider like Your Loan Depot, you can do so with the confidence that comes from knowing that your personal and banking privacy is secured. Payday lenders are not legally able to give your information to other institutions. Reach out to us at Your Loan Depot if you have any questions! We’d love to hear from you and help you.